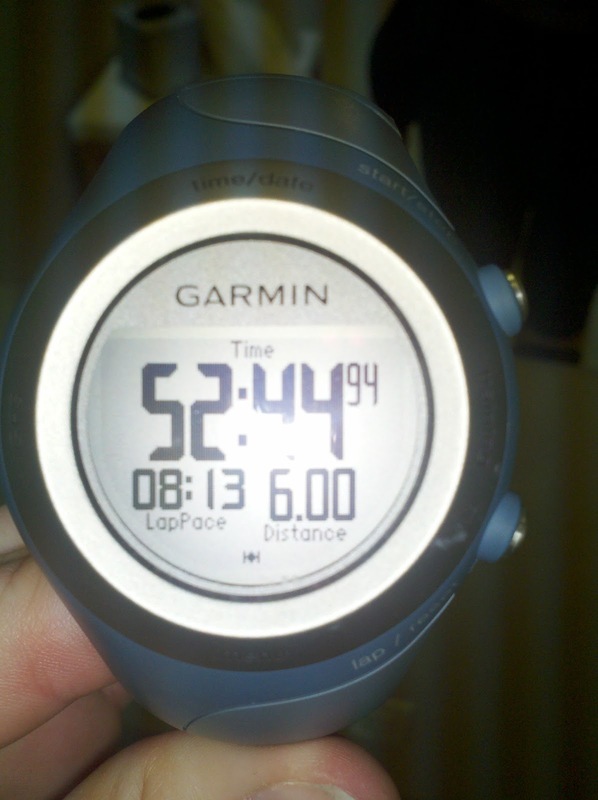 So yesterday at lunchtime I got outside for a 6 mile run. It was what was on the schedule, so it was what I planned to cover. Here is what happened on yesterday's 6. Whoa. Another speedy one! I was definitely surprised to see myself going that fast and not feeling terrible. Now, I am not saying it was easy, it was definitely pushing myself, but I used to push myself to get to 9:30 miles on 6 miles outside of a race! So now to push for 8:45 miles? Nice! It makes me excited for post-Pig speed workouts. I plan on doing track workouts for 1 workout per week. I am pretty sure that I am actually going to follow the Hal Higdon plan this time, but maybe step it up a little. I don't know though. I was just checking the Hal plans, and you don't get speedwork/hill work until the advanced plans, so maybe I will just incorporate it in somehow. I dunno... I sort of feel like this plan is going to be a little bit more by feel than the first one, which I followed like crazy because I didn't want to mess up my first marathon. But next time, I feel like I might be more comfortable following myself and trying to achieve ALL of my goals at one time, instead of being focused 6 days/week on running a marathong and nothing else.